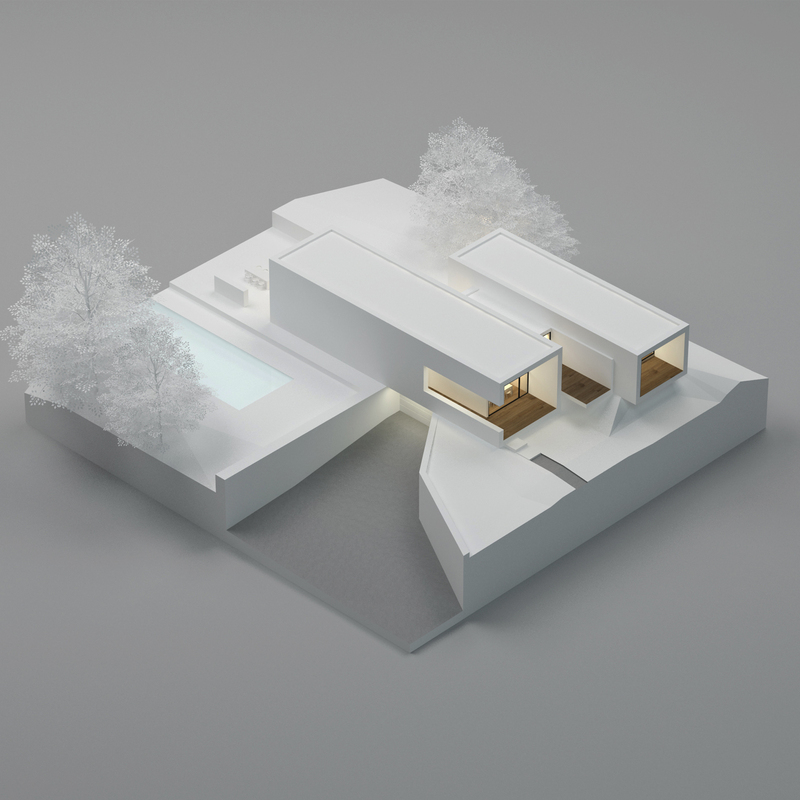 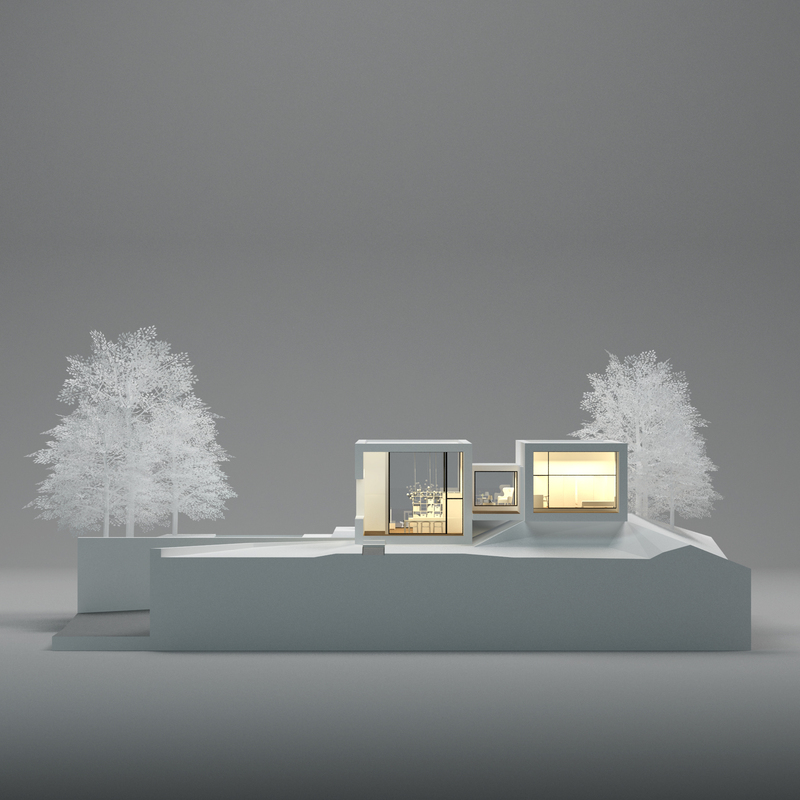 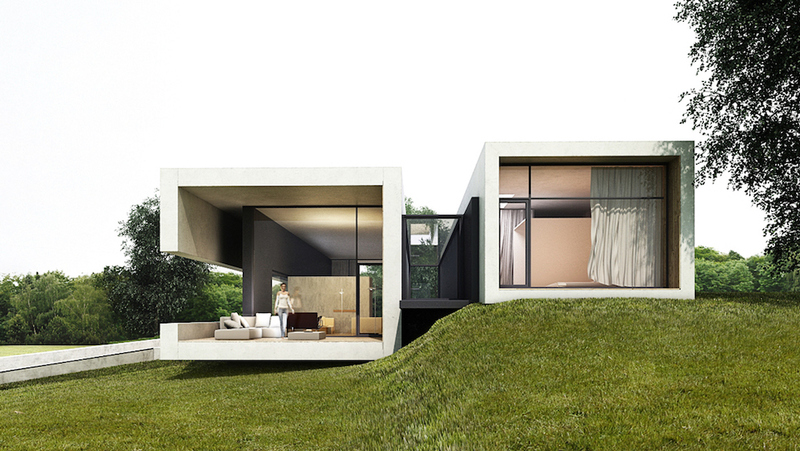 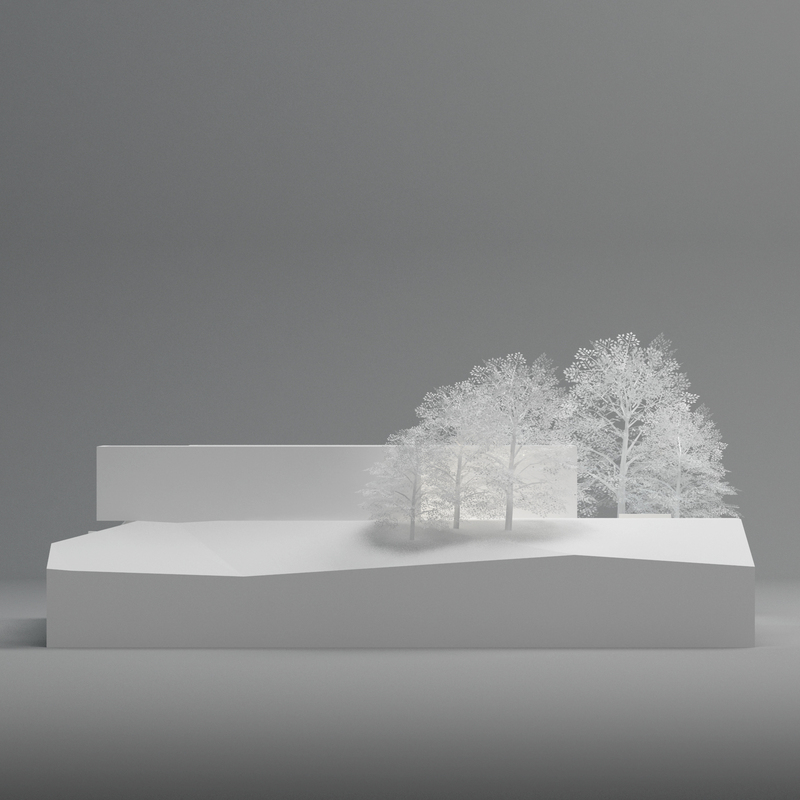 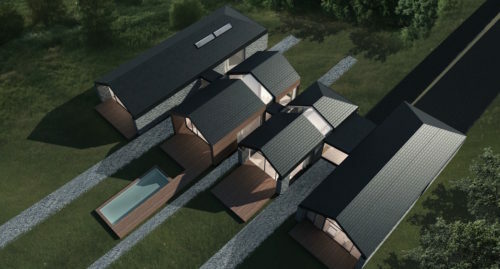 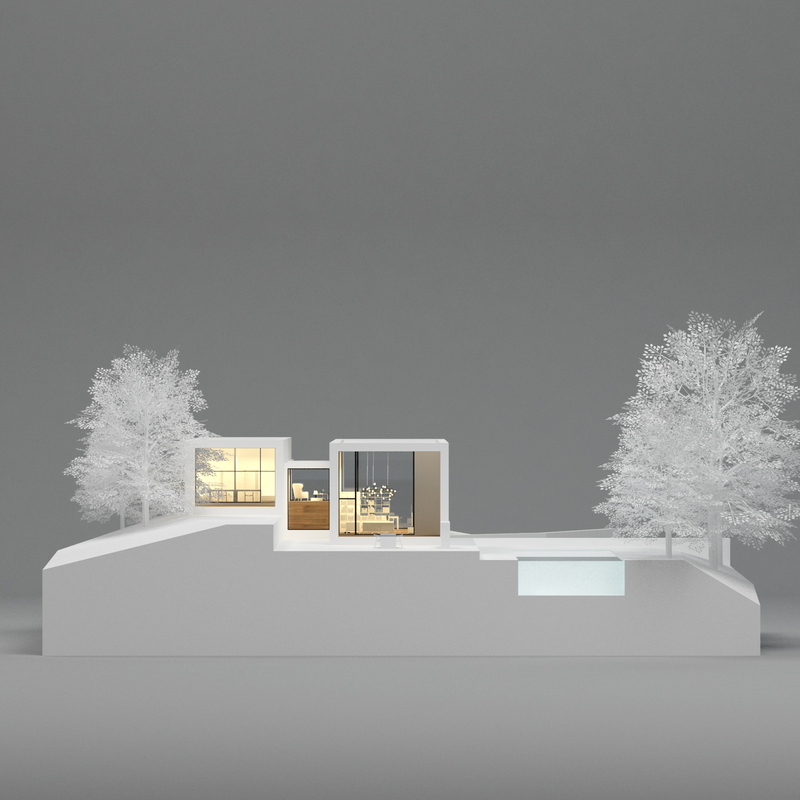 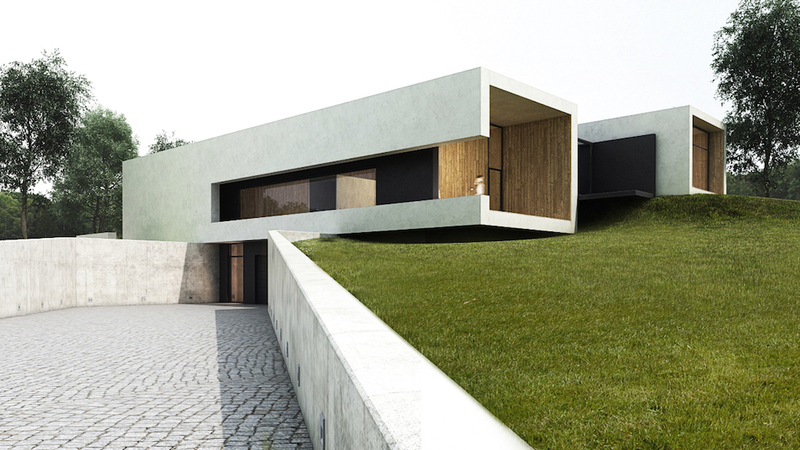 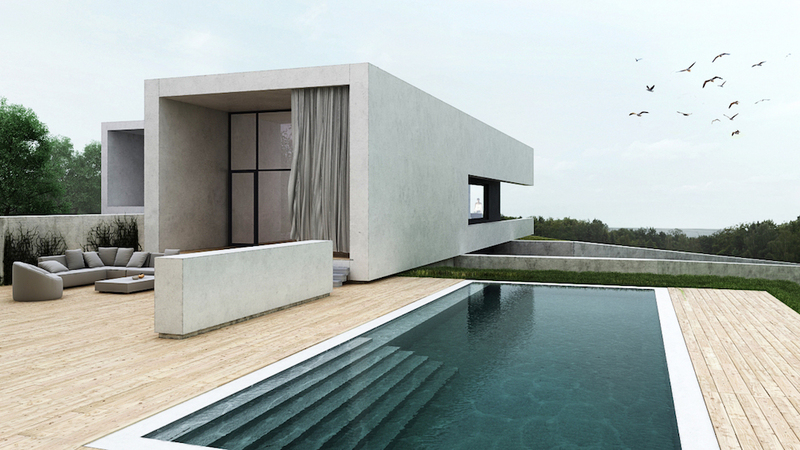 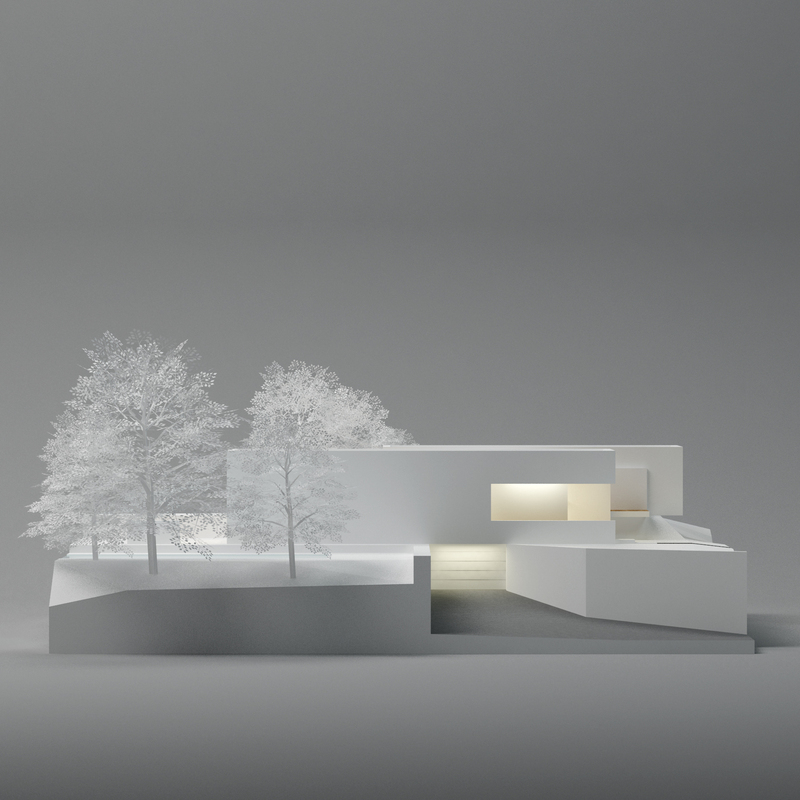 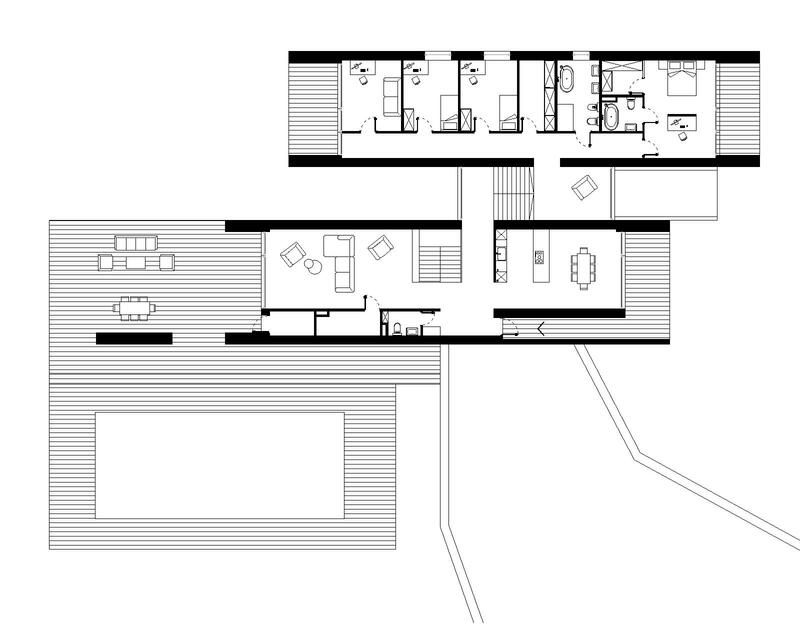 Our vision of contemporary house, located on a hillside. 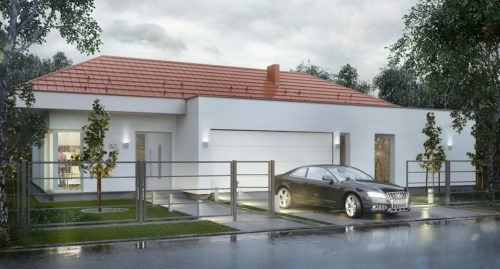 The distinctive shape of the building consists of two residential tubes, placed on the floor of underground garage. 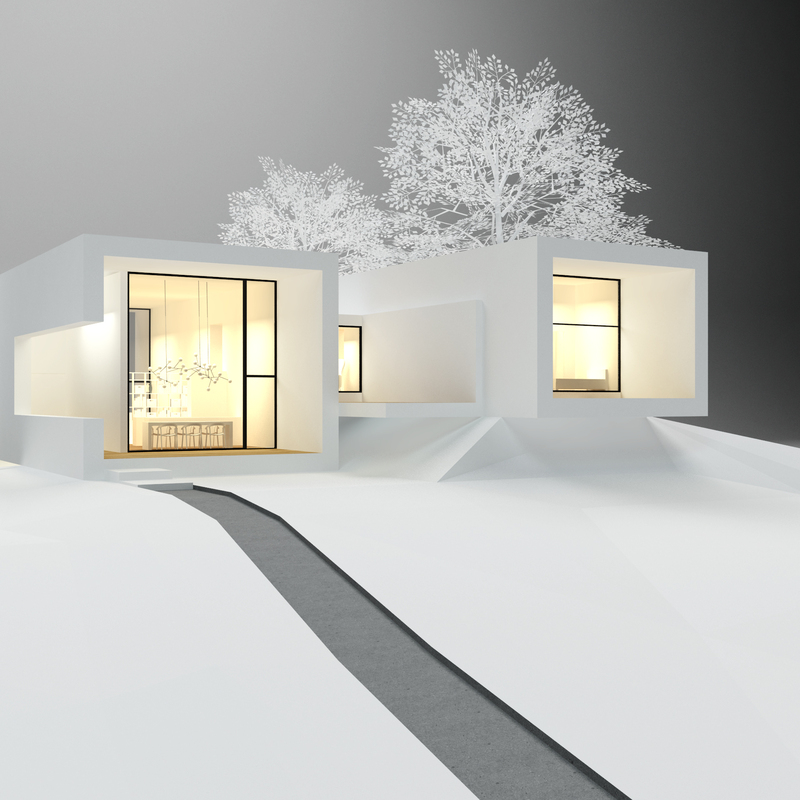 The project is waiting for the brave investor.